You know the history here, right? Well, if not, here’s a quick run-down — For the past year or so (back to September of 2009, to be precise), there have been rumors floating around about what some have called a “Facebook phone”. The idea is that there would be a device with deep Facebook integration, likely akin to what we actually have with Twitter now on iOS. Well things have gone quiet for the past few months. 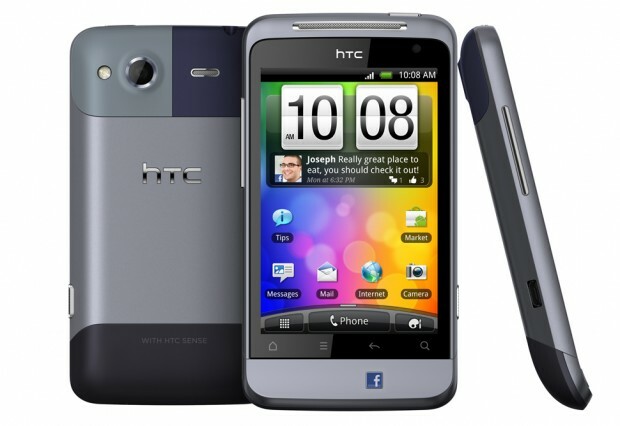 The last rumors that we heard were that INQ and HTC were both in the market to build Facebook phones. INQ’s version was based on the same idea that its previous Skype phone had, where the entirety of the phone surrounded Facebook. The HTC devices, which were initially reported in January of this year, were set to launch at Mobile World Congress, what came out of it wasn’t quite what was expected. The HTC Salsa and ChaCha were not deeply-integrated Facebook phones as the potential fans might have expected. Rather they were HTC phones with a big button for quick access to Facebook. Nothing more, nothing less. Now, un-pause and we’ll come back to today, where All Things Digital is reporting that Facebook has indeed been building a phone. Codenamed Buffy, it’s said to be a heavily-modified Android device, with support for HTML5 applications. The OEM of choice? HTC. But don’t expect to have your friends in your pocket too quickly — rumors have it that the phone is still 12 to 18 months away. Now comes the big question – is it the right move? Facebook has a massive base of mobile users, and it wants to continue to see every move you make being social. When you look at how we’re using our smartphones today, it makes sense that Facebook would want to get its hands wrapped a bit tighter around things, but it could also be limiting its market. To us, it sounds a lot like something that the teenage set would love to use, but outside of that the possibilities seem incredibly limited.